Just click on the questions below to expand and reveal the answer. If you are an established patient, yes you can! In order to utilize online appointment requests you must be an established Palouse Medical patient and registered for our patient portal. To become a Patient Portal user, you will need to have completed at least one appointment at our office (so that we have a medical chart to attach to your portal account) and then all you have to do is start the portal registration process. However, If you are a new patient, we need you to please call our office at 509-332-2517. Any member of our friendly office staff would be happy to help you get your first appointment scheduled and while you are in the office, we can help you get started on the portal too! Contact your insurance company directly to find out if Palouse Medical is on your insurance’s list of “approved” or contracted providers. Call the number on the back of your insurance card to speak with an insurance representative or visit their website for more information. We recognize that life gets busy and like to try and make paperwork as painless as possible. Please visit our FORMS page to find the documents you specifically looking to update, complete it and return it to our office. Also, we have some forms available through our patient portal and we hope to be able to expand our list in the future. 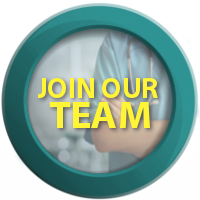 We welcome the opportunity to become your health partner! Please visit our NEW PATIENT page to get started. There you will find links to the FORMS you will need to have your records transferred. You will also find a list to help prepare you for your first appointment. We thank you for your interest and look forward to becoming your health partner! Palouse Medical takes the protection of your health information and patient privacy very seriously! For this reason, we have chosen to require that all portal registrations begin in-person at our office. This allows us to protect our patients, keep their health information confidential, explain how to finish the registration process, and answer any questions you may have. We are sincerely sorry for any inconvenience this may cause, but we hope you understand. We can not send your secure PIN # to your e-mail or discuss personal health information through e-mail, as this is not a secure method of communication. While in the office, let us know you want your account set up. Our friendly receptionists will provide you with a registration letter, instructions, and a unique (PIN) security code. 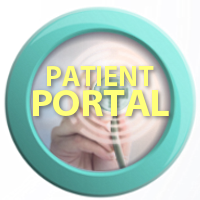 Follow the patient portal link from the homepage of our website, or CLICK HERE. Then simply follow the instructions on your registration letter and activate your portal account! Trying to plan for an upcoming appointment or procedure? Knowing your benefits is very important, but with so many insurance plans, levels of coverage and member benefits associated with each plan, it would be impossible for us to keep up with it all. Your insurance company is the best point of contact questions regarding coverage. Refer to your health insurance benefits or the information packet that has been provided to you as a member of your insurance plan. You can ask what they anticipate will be covered or left as patient responsibility and receive the information you need. Some insurance companies even offer their members online services, such as cost estimators and prescription calculators on their website.